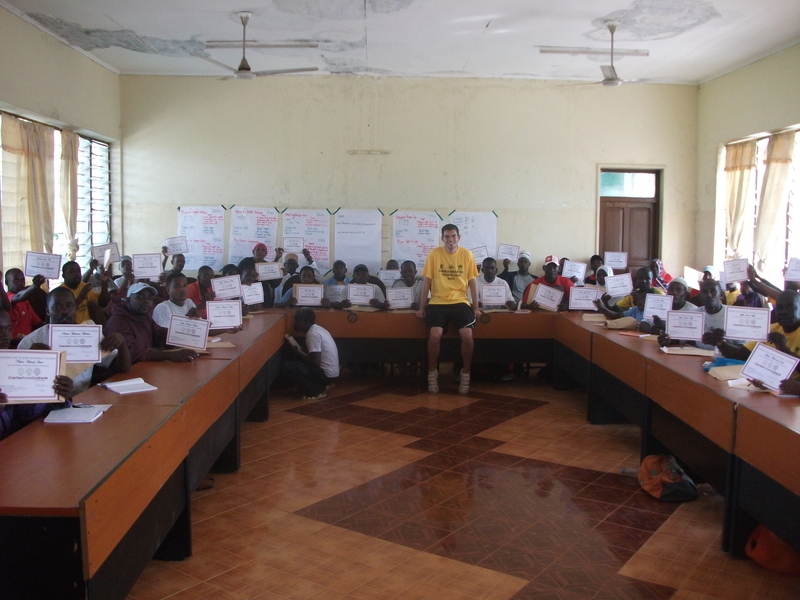 May 27th 2013: Coaches Across Continents have wrapped up our first year in Zanzibar with Save the Children, the Sports Council and the Zanzibar Football Association. This week was on the smaller Pemba island 30 minutes north of Unguja with around 50 local coaches. 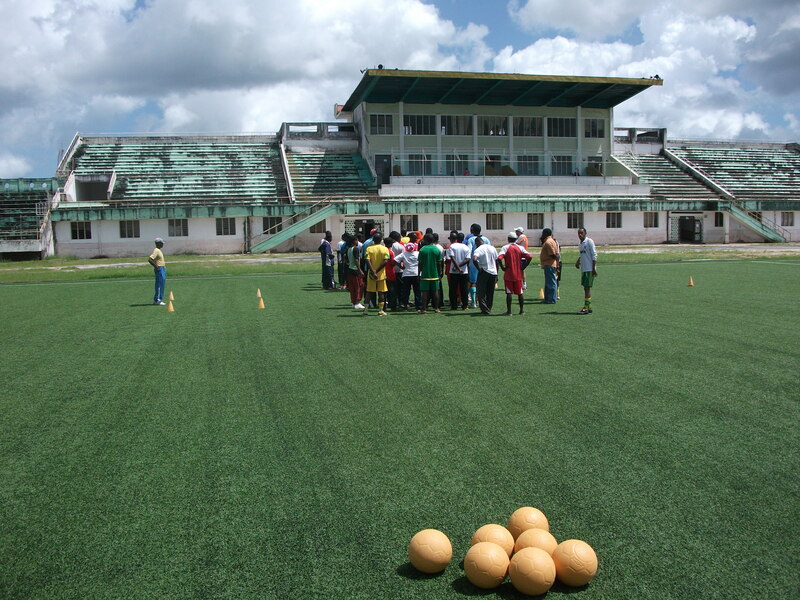 Like the first week we were given access to the local stadium with an artificial pitch installed and many One World Futbol’s as part of their significant partnership. There is currently a great push by Save the Children to stop violence against children in Zanzibar and the distribution of One World Futbol’s is part of this. Therefore we focused throughout the week on differents forms of violence against children including physical, verbal, sexual and emotional. Many of the children which these coaches work with have very difficult childhoods at home, at school and in the community where they do not feel comfortable and safe. It is important that the soccer pitch is a safe space in which children can relax, have fun and gain confidence in themselves. The coaches in Pemba are all committed to being positive role models in their team’s lives and providing them with this safe space. Along with violence against children we addressed disparities between male and female soccer on the island. Due to religion, culture and tradition there are currently few opportunities for girls to play the game in Pemba. At a local school game we witnessed first hand the passion for soccer from the girls on the island wh o cheered and sang for their male school mates.We were very encouraged by the willingness of the coaches by the end of the week to work with female players in the future. The two weeks in Zanzibar have been an incredible success with the local organisations focused on social impact through soccer and a reach of 3500 children through the coaches. Their hard work and passion for development, along with the coaches willingness to learn and teach through soccer, suggests that this partnership can continue to have real impact as we build on the last two weeks over the coming years. As we left the Sports Council representative asked to confirm the dates for next year…. Previous: Successful First Week in Beautiful Uganda! Next: Corporate Social Impact at work.